Children who can read accurately, quickly and with expression will have an easier time understanding what they read because they won’t be stuck on sounding out words. Building fluency is like building a muscle, it takes practice to get stronger and faster. Fluency also improves comprehension by adding expression and appropriate phrasing. Children will love to hear how their fluency breathes life into a story they read aloud! The goal for the 1st grade reader is to read the same way as how they talk, using expression and changing their voice to reflect what is happening in the story. Fluency helps students read smoothly and better understand the story. The teacher will begin “timed reading passages,” where students will read a story and be timed for one minute to keep track of how many words they can read. By December, 1st graders should read 50 words correct per minute (WCPM). By May, students should be reading 70 words per minute. Is my 1st Grader on Track to Read? Your child needs a model of reading fluency. They begin to develop their own fluency when they can hear how you change your expression throughout a story and read with ease. Tell them how you raise your voice at the end of question sentence (“Do you like eating broccoli?”) or how you change your voice for different characters (“This character is really afraid, so I’m going to make my voice shaky when I read his words.”) Have them match your expressions and speed following your demonstration. We must prevent children from becoming frustrated as they try to read. 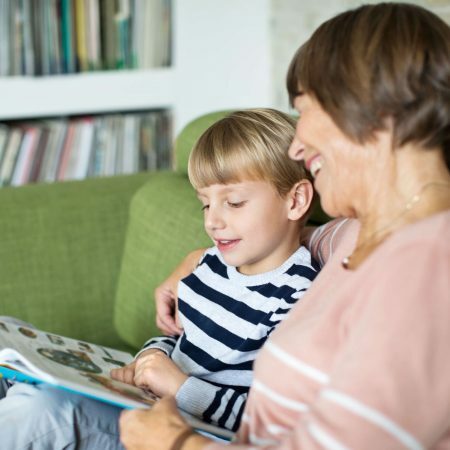 This means finding a book they are able to read comfortably and that offers only a slight challenge, meaning they can comfortably read most of the words they see. Early reading books with pictures and large font help boost children’s confidence and excitement when students realize they can actually read the book. A chorus read is when you and your child read at the same time, like how singers sing in a chorus. Pick a paragraph in a story and let your child practice reading fluently with you. Have your child re-read their favorite poem each night. Doing repeated readings of your child’s favorite poems will help them control their voice, tempo and expression. Even after 40 years, Shel Silverstein’s Where the Sidewalk Ends still delights and captivates most 1st graders! Go to “Collections” select “Read Alongs” to choose from hundreds of picture books that will read aloud as your child follows along in the story. These are sample end-of-first grade reading passages that are used for timed reading to show parents how their child is tested. A teacher would select a passage based on your child’s reading level and have the student do a “cold read,” meaning the student has never read or practiced the passage before. Once the student begins, they are timed for one minute and the teacher follows along on a copy of the same passage. The teacher notes the places where your child skipped words or misread. After the minute stops, the child stops reading and the teacher counts the number of words read correctly. Students are typically tested three times throughout the year. Captivate your child with these 15 nonfiction read-along books. “Listen and Read” activities tell their stories through words, images, and sound.